Have you ever heard of “The fear of Communism in the 1950s” and stuff like McCarthyism? American people are really afraid of communism, because they really know what it is. Many American public schools may not included that the situation of Cold War are much serious, but smart American will know it by themselves. In Thailand, the history books have never said anything bad about communism, because China and Russia are our friends. 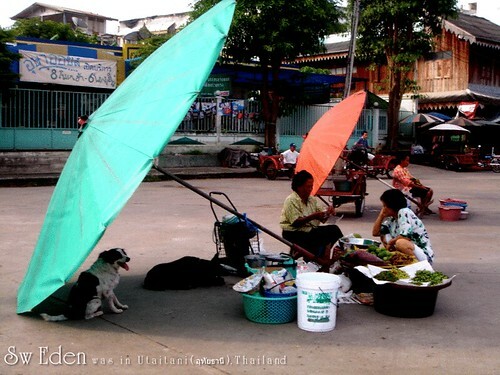 Thai people also do not really worry about communism, too. They believe that it will never happen in Thailand. Communist Party of Thailand was founded in the same era of Cold War about 1940’s. Nothing was successful in that period. A Thai old history professor in my middle school had a really solid faith. She said that Thailand cannot be Communist, but it was the first year of Thaksin Government, so she did not know how he was. 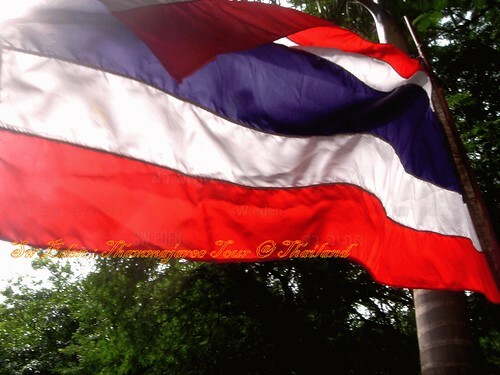 Thai flag defines 3 things by its colors which are Red is Nation, White is Religion and Blue is King. All the three are the main institutes which have been with Thailand since the Sukhothai kingdom in 1200’s century. Communist has no Nation, no Religion and no King. This is the reason why Thailand had never been afraid of Communism. Thai Flag with striped 3 colors, influenced from European in WWI. Currently (Spring 2010), the power of money comes before these three institutes. Thai people are pretty sure that the Red Shirt protesters are paid to against Abhisit Government. A few Thai people in England were paid to make the website against Thai monarchy, and government. Many English-speakers do not really understand what happens, so they believe those posts. In fact, Thai Kings have been prevents the country from communists and soldier dictators. They really love their country, and its concept. The word, “Thai” means “Freedom”. Communist dictator will never give freedom to its people. Sw is really feel sorry about the Red Shirt, and I would like to forgive them once they realize that they have been wrong. They are known as uneducated and farmers. They can make more money by protesting rather than by their farms. This does not mean all the farmers in Thailand are the Red Shirt Protester, and does not mean that Red farmers produce red rice, and other normal farmers produce white rice (Laugh). They do not really know what really going on, and what will be the result of their protesting. Their leaders always use ambiguous words to bend they thought to be the same way. Moreover, the Red Shirts are really sensitive when they see Thaksin cries online. There are many rumors say that Thaksin currently has a serious cancer, but Thaksin always confirms that he is so happy with his family. Logically, if the Red Shirt protesters do not really get the money, they will hate to burn themselves under the hottest sun, while Thaksin says that he is really happy. God of the Money or Money is God for many people. 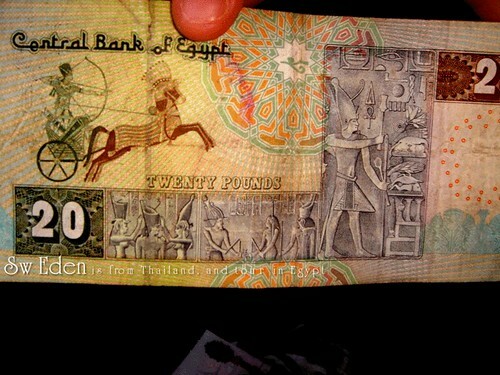 Egyptian bills do have their ancient God as their country’s identity, although most of them are Islamic, not the Ra worship. 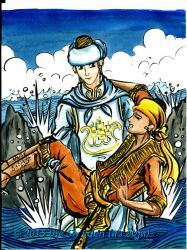 You will see Horus supports pharaoh in here. The fear of Anti-Communism in Thailand is if the Red-Shirts completed their goals. Thailand would be communist-like democratic under the power of one dictator. The dictator would pay for all poor people to vote him, and he would get the highest vote forever. He would use law to support his own business, and also many kinds of corruption from both him and his party would happen. Some foreigners understand that Abhisit did not get elected to be Prime Minister, so they hate him. In fact, Abhisit will be elected if the poor people were not paid to vote. Thai people vote for members of the House of Representatives by regions. In the suburban from Bangkok where is the area of middle class people, Democrat Party – Abhisit Vejjajiva always gets the most votes. Likely, the Democrat Party’s main base of support is in Bangkok, by the educated people and office workers. For all the foreigners’ misunderstanding about Abhisit and Thai democratic system, if all those people still keep paying the poor to vote, we will never have the real democracy. In fact, the red shirt can have a happy life without a large amount of money. Everything has it own way to solve and to understand as long as you know what the most important thing of your life is.